Maciej is a Director working from both our London and Wrocław studios with over 10 years of experience working across the residential, public, higher education and bio-pharmaceutical sectors. He has worked for UK based design-led practices as well as industry-leading global engineering firms and has delivered award winning schemes (including multiple RIBA awards) across Europe, Asia and America. Previously Maciej gained substantial professional experience in advertising and branding, delivering creative solutions for leading global FMCG and electronics brands. Maciej's diverse professional experiences combine and underpin a strong conceptual framework for design development and delivery. His multidisciplinary approach to design focusses on quality, efficiency, cost and design optimisation. 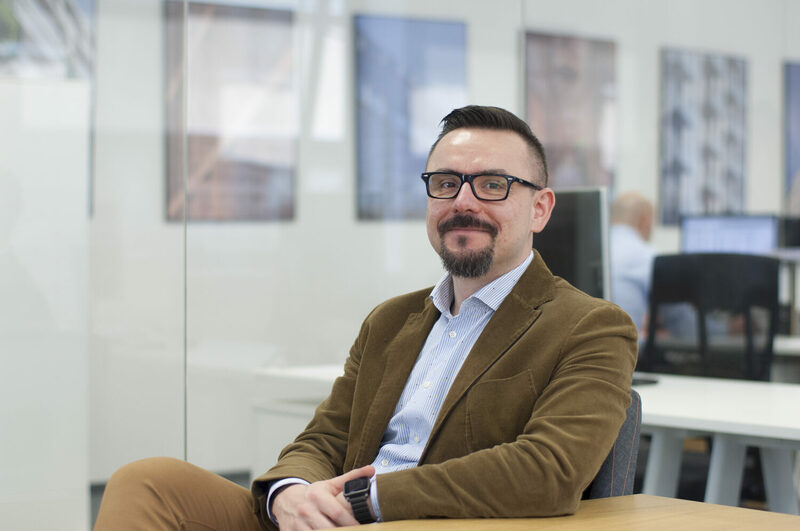 At EPR Maciej is permanently tied with our Wrocław Studio as an onsite director and is responsible for ensuring that the BIM focused studio grows, currently delivering large scale residential and office schemes across both the Polish and UK markets. Maciej also explores his passion for advanced design methodologies as a lecturer at the Faculty of Architecture of Wrocław, University of Technology.